Divorce with Dignity's Denise Foster and Cindy Elwell. Photo by Kristen Hanlon. Divorce with Dignity is a network of divorce support professionals that was founded in Alameda in 1996 by Cindy Elwell. Divorce with Dignity is an alternative for couples wishing to divorce amicably and avoid the lengthy and expensive process of traditional divorce in which each party hires a lawyer and spends thousands of dollars. Over the years it has grown from a single office in Alameda to dozens of affiliates in California, Florida, Illinois and Washington. In addition to services related to divorce, the office also handles deeds, trusts, and conservatorships. The need for a multi-year budget plan to prepare for higher pension and other employee costs was discussed at the special meeting of the City Council on Tuesday night. School board trustees agreed Tuesday they need to put a bond before voters to help pay for millions of dollars in fixes Alameda’s schools need – they just need to figure out what they want to ask voters to pay for, and when. “We have a lot to think about and to work through,” Trustee Margie Sherratt said during the school board’s meeting Tuesday. Here's what happened at the school board meeting last night. It's budget time at City Hall, which means Alameda's budget team is diligently finalizing our financial plan for the next two years. It's also time for some regular naysayers to take pot shots at City Hall. These critics insinuate that your city's staff is corrupt. They proclaim that bankruptcy is imminent - as they have for many years. Starting this Saturday, Alamedans will greet Alameda Police Capt. Paul Rolleri with a new title: interim chief. Rolleri will take the reins from retiring Police Chief Michael C. Noonan. Kelly Park. Photo used with permission. Jazz pianist Kelly Park thought Alameda needed a song of its own. So late one night as he drove home from a gig in San Francisco, he began writing one. Dr. Jannett N. Jackson is leaving the College of Alameda. Contributed photo. Into each life a visit to the DMV must fall and so it did on us. We made an appointment at the office on Claremont Avenue in Oakland and set off in plenty of time to arrive early. And so we did, getting there ten minutes before the hour for an appointment ten minutes after. The Board of Education is holding a public meeting at 6:30 p.m. Tuesday, May 28 at the Alameda High School cafeteria, 2200 Central Avenue. City budgets are most often a messy space where math collides with what the community and others with a stake in the budget want. As a council member, it took me a while to get a grasp on the budget process and as I was doing so listened to many a report on the impact of the downturn (“depression” is closer to reality) on cities. U.S. Coast Guard Vice Adm. Paul F. Zukunft, Pacific Area commander, and Vice Adm. Muhammad Farid Habib, Chief of Naval Staff for the Bangladesh navy, sign the official paperwork to transfer the Coast Guard Cutter Jarvis to the Bangladesh navy during a decommissioning and transfer ceremony held on Coast Guard Island on Thursday. U.S. Coast Guard photo by Petty Officer 2nd Class Pamela J. Boehland. The MV Cape Orlando. Contributed photo. New safety gear, more support boats and third-party structural reviews of racing vessels are among the more than three dozen changes America’s Cup Regatta Director Iain Murray announced Wednesday, concluding a safety review that followed the death of an Artemis Racing sailor during a practice run on San Francisco Bay. Reduced wind limits, which Luna Rossa Challenge owner Patrizio Bertelli insisted on as a condition of his team’s participation after Andrew “Bart” Simpson, 36, died when the 72-foot racing catamaran he was sailing in broke up on the Bay earlier this month, are among the 37 changes being put in place. The Cup’s managers are also reducing the number of races in the Louis Vuitton Cup round robins to be held this summer from seven to five. One change Murray did not recommend: Abandoning the AC72 sailing vessels that some have complained are too dangerous to sail in favor of the smaller 45-foot vessels Cup racers sailed in 2011 and 2012. The changes will be incorporated into a revised safety plan to be forwarded to the U.S. Coast Guard. Murray’s list of recommendations includes a third-party structural review of the platform and wing of each of the AC72 yachts, which are custom built by each team. The new rules will also set a maximum sailing weight and ban guest racers on the yachts. Safety equipment will include crew restraints, high-visibility helmets and body armor, along with life vests with quick-release mechanisms, hands-free oxygen tanks and self-lowering equipment. Limits on support boats will be lifted and rescue boats staffed with rescue divers and swimmers and paramedics and stocked with safety nets for retrieving crew members tossed into the Bay will be required. The limit on wind speeds racers may sail in was reduced by 10 knots, to a maximum of 23 knots, or 26 miles per hour. If a yacht capsizes its competitor will be declared race winner in order to direct attention to the distressed yacht. And fines for not competing will be removed. Under the new safety rules, America’s Cup Race Management will develop common safety and rescue procedures between the four competing teams. Simpson, Artemis’ newly hired strategist, died May 12 when the catamaran he was sailing broke up in the Bay and he was trapped underneath. The capsize of the yacht – the second of the roughly $8 million racing vessels to succumb to the Bay over the past year – prompted an internal review which included participation from America’s Cup teams and halted most Cup sailing as the review took place. The cause of the capsize has not yet been released. Both the Artemis Racing and Luna Rossa teams are based at Alameda Point. The recommendations are posted here. City Hall is hosting a pinball exhibit. Four Alameda businesses have earned honors from StopWaste.Org for their waste reduction efforts. VF Outdoor, Shinsei Gardens and Breakers at Bayport manager The John Stewart Company and Alameda’s two McDonald’s restaurants were among the businesses that earned StopWaste Business Efficiency Awards, which were presented on May 9. A series of community meetings to discuss the fate of Historic Alameda High School concludes tonight. Donna Eyestone's live video is here; her Tweet-by-Tweet coverage is at the jump. Alameda police said they’ll be reviewing a local bar’s business and liquor licenses and stepping up patrols in the wake of a melee Sunday morning, during which one man was stabbed multiple times in the back - one of three violent incidents police said evolved out of fights that started at the bar over the last 18 months. Anne Kronenberg was a typist in her early 20s when Harvey Milk asked her to manage his 1977 campaign for San Francisco supervisor. The Brookings Institution has released a new book that shows poverty in America's suburbs is rising faster than in its cities. According to the book, poverty in the suburbs surrounding the county's major metros has risen twice as fast over the past decade than it has in the cities themselves. Here's a glimpse of how many Alamedans have lived in poverty over the past several decades. We celebrated our house’s 100th birthday with a party Sunday and a high old time was had by all. Here’s what’s on your civic calendar for this week. The world's attention turned once again Friday from a (assumed) plush San Francisco attorney's offices to a gritty airplane hangar on Alameda Point. Several items of waterfront news today that can’t wait until my usual post next week. Housing advocates and city leaders gathered Wednesday to celebrate the long-sought transformation of the former Islander Motel into an apartment complex for low-income workers. The Alameda Police Department is offering free child safety seat inspections and installations from 10 a.m.
America's Cup Race Management Regatta Director Iain Murray and Golden Gate Yacht Club Vice Commodore Tom Ehman held a press conference Tuesday in San Francisco. More than three-quarters of the adults involved in Boy Scouts in Alameda oppose their national organization’s policy of barring gay Scout leaders and members, survey results obtained by The Alamedan show, with parents of the organization’s youngest participants making up the highest percentage of those who think the policy is wrong. Summer has arrived early this year. Maybe it’s because of climate change, maybe just a “natural” fluctuation of wind and wave. Maybe summer just decided it had enough of sitting in the dark and decided to come out to play. A midday fire Monday caused "extensive" damage to a two-story Victorian home on a quiet residential street and injured three firefighters. The cause of the fire on the 800 block of Cedar Street is not yet known, and Alameda Fire Capt. Michael DeGrano said an estimate of the damage it caused wasn't yet available Monday afternoon. It took firefighters nearly an hour to get the blaze under control. DeGrano said the department was called at 12:39 p.m. Monday with a report that the single-family home was on fire. He said a neighbor escorted a resident of the home out uninjured before the fire department arrived on scene, about four minutes after receiving a 911 call. Three firefighters were injured fighting the blaze, he said, with two suffering from heat exhaustion and a third who was hit by falling debris. Fire investigators believe the blaze began either in the rear of the home's basement or first floor, but it's not yet clear what might have caused the fire, which spread to the attic through the home's walls, DeGrano said, due to the way it was constructed. "The damage is extensive, interior-wise," DeGrano said. He said nearby homes have sustained smoke damage. Both Oakland and Alameda County fire departments were called in to help fight the fire, and Alameda police blocked Clinton Avenue at Willow Street. A pair of bystanders expressed frustration about the fire department's response, saying they thought the department should have arrived and addressed the fire more quickly. "It was a small fire in the back and the whole house got engulfed," a man who identified himself as Ken Baca said. When asked about Baca's concerns, DeGrano said firefighters arrived in under four minutes. "He's certainly entitled to his ideas," DeGrano said. "We do get people who become upset." Chuck Kapelke shot a series of videos at the blaze, including the one embedded below. Alameda Vice Mayor Marilyn Ezzy Ashcraft talks to those gathered at the Homes are the Heart of Alameda panel discussion and tour about how important it is to have a mix of home choices in Alameda. Photo by Laura Casey. At certain stages of our lives, we feel unlike our peers. We imagine that everyone else is happier and more connected than we are. Photo courtesy of Artemis Racing. It's been about 24 hours since I heard about the capsize of the Artemis Racing AC72 catamaran and death of strategist Andrew "Bart" Simpson. All Thursday afternoon people kept asking, "Dave, did you hear...?" Retrofitting seismically unsafe portions of Historic Alameda High School could cost between $19 million and $27 million, an architect’s estimates presented at a community meeting Thursday show. Welcome to The Broad Brush, your two-sentence news review. Here's what happened this week. Here's our rolling Tweet by Tweet of Thursday's community meeting on Historic Alameda High School. One of Artemis Racing's racing boats capsizes in the Bay. Photo by Dave Bloch. One person is dead and another was injured when a 72-foot racing catamaran crewed by Artemis Racing capsized during a training run for the America's Cup Thursday on San Francisco Bay. 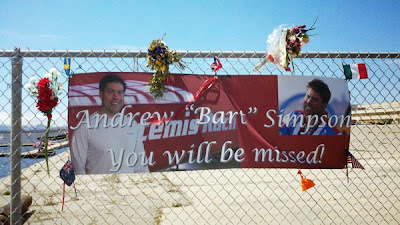 Artemis Racing identified the victim as Andrew "Bart" Simpson, a British double Olympic medalist. Simpson is listed on the team's website as its strategist. At a brief press conference Thursday evening, a shaken Cayard expressed the shock of the Artemis organization, saying that "the boat is under control" but that "we're focused on the people." Kame Richards of Pineapple Sails said Simpson had just been hired by the team and had only been here for a few weeks when tragedy struck. Richards said Simpson had a wife and two small children. Artemis' website says Simpson was trapped under the boat and that doctors "afloat and subsequently ashore" attempted but failed to revive him. The America's Cup website is reporting that the crew member who died was trapped under the catamaran's platform for an estimated 10 minutes. A San Francisco Fire Department spokeswoman said a second person sustained cuts but is stable and others aboard the racing boat were not injured. Emergency personnel and the America's Cup have offered varying reports of the number of people aboard the catamaran, saying between 11 and 13 people were on the racing boat when it sank. Support boats for the Alameda Point-based Artemis and Oracle racing teams rescued Artemis' crew after the catamaran capsized, at about 1 p.m. Thursday northwest of Treasure Island; they were transported to the St. Francis Yacht Club, U.S. Coast Guard spokeswoman Pamela Boehland said. Boehland said the AC72 is still in the water and that the Coast Guard has set up a 100-yard safety zone around it. It's not yet clear what caused the multi-hulled 72-foot catamaran to capsize. 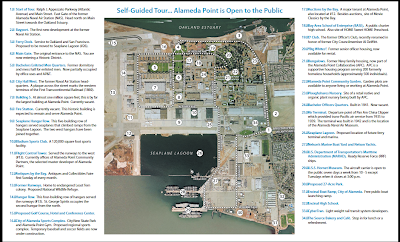 Artemis is one of two on Alameda Point, and four competing in the Americas Cup races scheduled to begin on July 4. The Italian Luna Rossa team is also based at the Point. Earlier Thursday, the team posted this photo on Twitter as they prepared to launch the AC72 from Alameda Point, where the Swedish team has set up shop. "A small gathering before dock-off. Good breeze and sunny conditions today on #SFbay," they wrote. NBC Bay Area was running a live video feed of the rescue effort. The Artemis yacht is the second to capsize in the Bay during the Americas Cup. The defending Oracle team's racing boat capsized in October 2012. The 72-foot catamaran is new to the America's Cup race and is billed by the Cup's runners as "an essential element of the vision for the 34th America’s Cup," designed to be fast and nimble, and also easy to assemble and take apart. America's Cup crews raced a smaller, 45-foot version of the catamaran in 2011 and 2012, the Cup website says. Dave Bloch contributed to this report. Alameda's poet laureate, Mary Rudge. Photo by Kristen Hanlon. On a recent warm April afternoon, I found Mary Rudge at Alameda’s Multicultural Community Center. She likes to spend most weekday afternoons there, writing, checking her e-mail, and helping facilitate events such as the annual Alameda Student Poetry Contest. Rudge is the City of Alameda’s first-ever poet laureate, a title she’s held since 2002, and has lived in Alameda for over 50 years. She has published numerous books and chapbooks and spoken internationally at schools, cultural centers, libraries, poetry groups, and peace events; she also raised seven children. On May 11, Rudge will receive a Lifetime Achievement Award at the Berkeley Poetry Festival. Currently, Rudge is working on updating a book she published a decade ago, Jack London’s Neighborhood: a Pleasure Walker’s and Reader’s Guide to History and Inspiration in Alameda. Poem appears courtesy of Mary Rudge. Lots of news coming out of the America's Cup world this week! Missed last night's Alameda City Council meeting? Here's the Tweet by Tweet, at the jump. Ploughshares Nursery will host “Not Your Mother’s Garden Party,” a benefit for the Alameda Point Collaborative, from 3 p.m. to 6 p.m. Sunday, May 19.
Letters to the Editor: Thanks for "Shoots and Ladders"
I’m sending my warmest thank you for the exciting, fun, and very successful event, “Shoots & Ladders,” last Friday evening, the third of May. The Alameda Police Department played a game of basketball against the Alameda Fire Department to help raise money for Alameda Family Services. An Alameda woman has been listed as a victim of a deadly limousine fire Saturday on the San Mateo-Hayward Bridge. The fire claimed five women, including a newlywed bride, and injured four others. San Mateo County Coroner Robert J. Foucrault on Tuesday identified Felomina Geronga, 43, of Alameda, as one of the victims of the fire, along with Jennifer Balon, 39, of Dublin; Anna Alcantara, 46, of San Leandro; Michelle Estrera, 35, of Fresno; and Neriza Fojas, 31, also Fresno. Four other women - Mary Grace Guardiano, 42, of Alameda; Nelia Arrellano, 36, of Oakland; Amalia Loyola, 48, of San Leandro and Jasmin "Jazzy" de Guia, 34, of San Jose - were injured in the blaze. In a release, Foucrault said his investigation into the cause and manner of the womens' deaths would take another three to four weeks to complete. The women had been en route from Alameda to a hotel in Foster City to celebrate Fojas' recent nuptuals when a fire erupted in the rear of the 1999 Lincoln Town Care limousine they were riding in. The driver, Orville Brown, 46, of San Jose, escaped unharmed, and four other women escaped and were treated at area hospitals for burns and smoke inhalation. "She was a good mother," Geronga's sister-in-law, who is in town to help with funeral arrangements, said Tuesday from the woman's home, which she shared with her husband and children. Police are investigating the cause of the fire; they said Monday that the car was carrying one more passenger than it was licensed to hold. Most of the women worked together at the Fruitvale Healthcare Center in Oakland, the San Francisco Chronicle reported. Should Alameda Unified renovate Historic Alameda High School, repurpose or rebuild it? It’s a question they’ve posed to the public – and one other Bay Area school districts have grappled with in different ways. Friends of ours just recently completed a long ordeal and sold their house in Oakland. Editor's Note: This e-mail was submitted to the City Council in advance of their May 7 meeting, and a copy was provided to The Alamedan for publication; it has been edited for clarity. A limousine that was consumed by flames Saturday, killing a new bride and four other women, was carrying more passengers than it was licensed to hold, police said Monday. An Alameda woman was among the victims, The Alamedan has learned. California Highway Patrol Capt. Mike Maskarich said the 1999 Lincoln Town Car limousine the women were riding in was only licensed to carry eight passengers, one fewer than the car was carrying Saturday night. But he couldn't say if any charges would come from the finding. Police and fire officials are in the preliminary phases of their investigation into the cause of Saturday's deadly limousine fire on the San Mateo-Hayward Bridge. Four other women were injured in the fire; the driver was not hurt. At a press conference held at 10 a.m. Monday, Maskarich offered no new details on the cause or origin of the fire, and he said the investigation into its cause will likely take several weeks. Maskarich said preliminary statements have been taken from the driver of the car as well as the survivors of the fire, and that more detailed interviews will be conducted. CHP will lead the investigation, with the aid of the San Mateo-Foster City Fire Department. San Mateo County Coroner Robert Foucrault, who reportedly called the tragedy one of the worst he's experienced during his time in the coroner's office, said the five fire victims should be positively identified during examinations Monday, and families notified Monday afternoon. He said his investigation should be completed in the next two to three weeks. Maskarich said the vehicle was licensed as a chartered party carrier regulated by the state Public Utilities Commission. He said the driver, 46-year-old Orville Brown, was properly licensed to drive the car and that its owner, LimoStop Inc., was expected to cooperate with the investigation. The women were reportedly celebrating 31-year-old Neriza Fojas of Fresno's wedding and were en route from Alameda to the Crowne Plaza Hotel in Foster City when a passenger notified Brown that there was smoke in the passenger compartment, shortly after 10 p.m. Saturday. Maskarich said Brown pulled over and that he and four of the women exited the vehicle, but five others were unable to get out. The survivors, who were treated at area hospitals for smoke inhalation and burns, have been identified as Mary Grace Guardiano, 42, of Alameda; Nelia Arrellano, 36, of Oakland; Amalia Loyola, 48, of San Leandro and Jasmine Desguia, 34, of San Jose. Maskarich, who said firefighters responded to the call within minutes, said three Good Samaritans, including an off-duty CHP officer, pulled over to help, but they were unable to get the women out of the path of the rapidly advancing flames. Foucrault said the victims were found pressed up against the partition between the passenger and driver areas. "They were getting away from the fire," Foucrault said. The City Council will consider a plan Tuesday to transform the former Alameda Belt Line rail yard into a passive park with picnic areas, walking and bike trails, community gardens and playgrounds. The City Council’s public meeting begins at 7 p.m. Tuesday, May 7 in council chambers at City Hall, 2263 Santa Clara Avenue. The California Highway Patrol is investigating the cause of a limousine fire that killed five women and injured four more on Saturday on the San Mateo-Hayward Bridge. Officer Ron Simmons said a timeline of the tragedy could be established as soon as Monday but that the vehicle inspection to determine its cause could take a few days. The San Francisco Chronicle is reporting that the women were headed to a bridal party from a birthday party in Alameda. The fire reportedly began at around 10 p.m. Saturday in the back of the limousine. Alameda's Rosita Guardiano told the Chronicle that her daughter, Mary Grace Guardiano, 42, also of Alameda, had befriended the bride at Crown Bay Nursing & Rehabilitation Center, where her daughter works. Mary Grace Guardiano was in intensive care being treated for smoke inhalation, and the bride was killed, Guardiano's mother told the Chronicle. The paper identified the bride as 31-year-old Neriza Fojas of Fresno. It said Fojas' husband was staying at the Foster City hotel where the women were headed. The Oakland Tribune is reporting that the group was headed to the Crowne Plaza hotel in Foster City as part of the bridal party. The paper has identified the other survivors of the fire as Nelia Arrellano, 36, of Oakland; Amalia Loyola, 48, of San Leandro and Jasmine Desguia, 34, of San Jose. The driver, Orville Brown, 46, of San Jose, was reportedly unhurt. The names of the four other women who died in the fire have not yet been released. The Altered Paintings Project is at REDUX through June 9. Photos by Michael Singman-Aste. Here’s the latest news on bills by your local legislators. The Alameda Credit Union is pursuing a merger, citing rising costs, new regulations and a desire to provide more services. You've already heard about the closing of Nelson's Marine and its impact on the International Rescue Group, which is trying to get its second boat into the water. What a night! Three hundred fifty public school supporters, great food and wine, cookin’ jazz from our two high schools, and a gorgeous night. Alameda Education Foundation’s 31st annual Salute to Education may have been one of the best. It would not have been possible without so many volunteers and help from our supportive Alameda community. The owners of a nursing home now being run by Alameda Hospital is suing the City of Alameda Health Care District and the hospital, claiming managers there breached their contract to lease the home by not taking over on the date planned. The Bob Claire Orchestra headlines a fundraiser for the Alameda Community Learning Center. Contributed photo. Alameda’s Fourth Annual Harvey Milk Day celebration is set to take place on May 20 at Encinal High School, 210 Central Avenue. The festivities begin with a buffet at 5:30 p.m., and the program will begin at 6 p.m. The keynote speaker is Anne Kronenberg, who was Milk’s campaign manager and main political aide and is co-founder and co-chair of the Harvey Milk Foundation, and the East Bay Gay Men’s Chorus is scheduled to perform. The event will also include a presentation from student Hunter DeVecchi, a winner of the Season of Nonviolence essay contest; a reading of the Harvey Milk Day story by Alameda schoolchildren; and an announcement of the winners of the Alameda Harvey Milk Day poetry and poster contest. Admission to the all-ages event, which is sponsored by the Alameda Unified School District and the Alameda Harvey Milk Day Committee, is free. Additional information is available on an event-specific Facebook page. Please include this letter as community input to the discussion over raising and slaughtering for food animals in residential backyards in Alameda. We need explicit ordinances that provide guidance on backyard slaughter to ensure that animals and owners are protected.